Today, we are going to talk about packing stations – an aspect of the entire process that historically hasn’t gotten a lot of consideration. The distribution centers that used to think that a couple of 8-10 feet long folding tables were up to the task of packaging picked orders for shipping have luckily now reevaluated the huge importance of these areas and have come up with some better ideas. This is especially important for operations that are focused on high-volume, small parcel e-commerce where if the packing station’s design is poor and not appropriate, it is most likely to cause a hold-up in the outbound shipping process. Nowadays, with putting an emphasis on maximizing throughput, packing benches have evolved a great deal. In this blog post, we will take a closer look at three of the newest productivity-enhancing configurations and features that can be found in the packing benches of today. 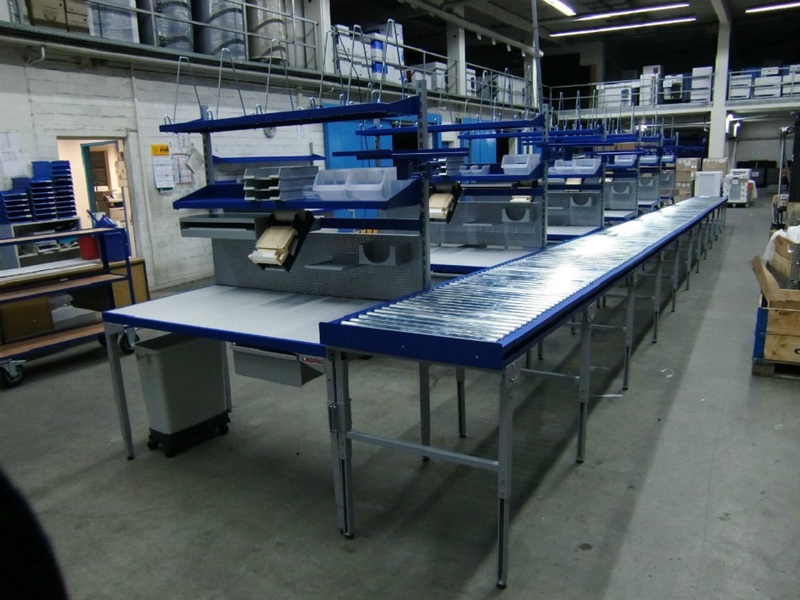 In order to accommodate the different height operators in multi-shift operations, the latest models of packing benches come with electric-powered height adjustments that have programmable pre-sets for different workers. This feature is great because it allows the operator to adjust the station effortlessly so that it is easy for him to reach all the necessary items for the operations at hand. To increase the needed level of throughput, packing benches can have different levels of automation in order to improve operator productivity. This way, when the picker delivers the items to the packing station, they can be quickly sorted out. This sorting might be supported by a flat screen monitor that shows pictures of each item and has shows work instructions regarding which item should be packed in which box. Another great way to further reduce time from the entire packing process is by adding mobility to a packing bench. Being made out of lightweight aluminum, the mobile pick/pack carts have wheels and can also house battery-powered wireless computing, printing, scanning and light-directing picking modes. Being able to pick and pack while on the go is a great way to reduce or better yet, eliminate bottlenecks at the stationary packing stations because it is not possible to pack items as fast as they are picked. With mobile packing stations, pickers can pack from 25-40% more products than they could at the fixed stations, which roughly cuts in half the labor costs.